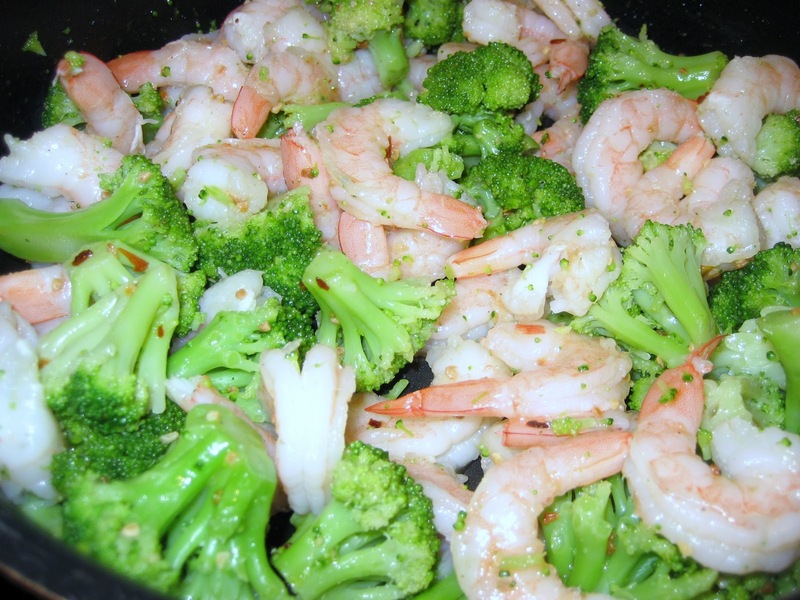 Fast, easy and flavorful! This healthy dish is easy enough to whip up in a pinch and special enough to serve to guests. It's made from items I typically have on hand. The red pepper flakes and fresh parsley really bring the flavors together. 1. Cook the pasta al dente, according to the package directions. 2. Heat 1/4 cup olive oil over medium heat in a large, non-stick frying pan, large enough to hold the pasta. 3. Add the garlic and cook for 1-2 minutes, stirring frequently. 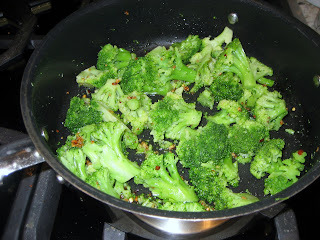 Add the red pepper flakes and cook for 30 seconds more. 4. 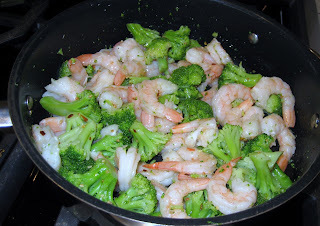 Add the broccoli and stir for 5 minutes, than add the shrimp, salt and pepper and stir for another 5 minutes until both are cooked through. 5. 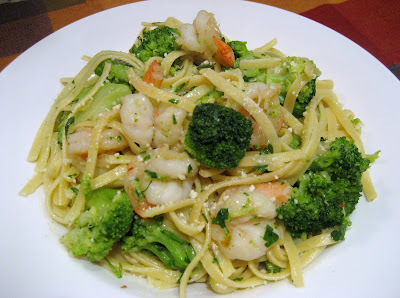 Add the white wine, drained pasta and toss to combine, than add the cheese and parsley and toss thoroughly. 6. Allow the pasta to rest for 10 minutes over a low heat, season with salt and pepper and allow the juices to reduce and thicken and be absorbed by the pasta. *Serve with crusty bread and Parmesan on the side. Tip: Use frozen broccoli florets to save time and peeled cooked shrimp if that's what you have on hand. Don't omit the red pepper flakes, it gives the dish a nice mild kick without the heat.